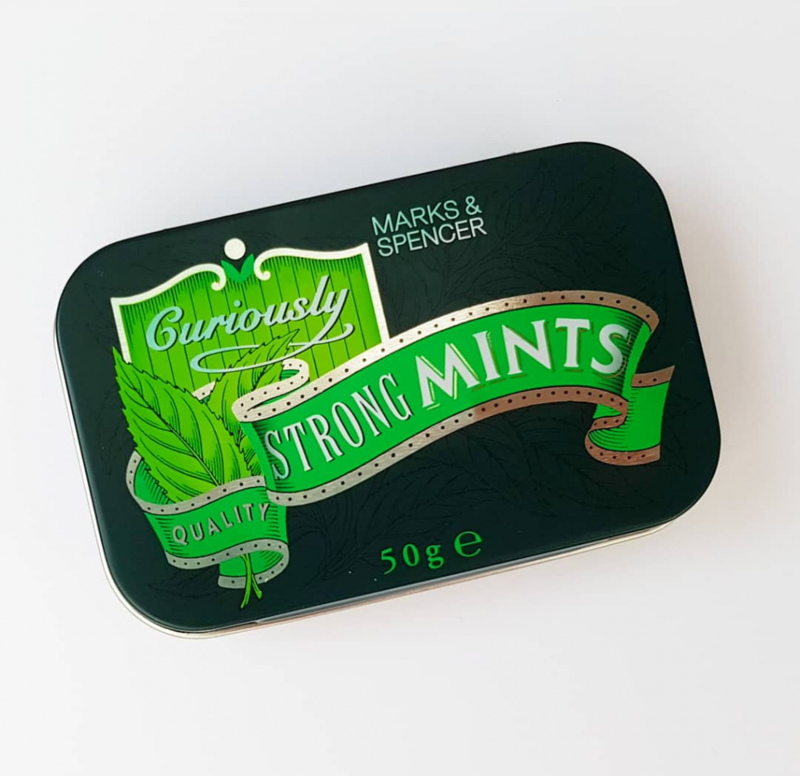 Today I’ve made this altered mint tin. We have so many stored up at home but I never get round to doing anything with them. So I’ve made this little hanging hive! I started off making 2 holes in the side of the tin and put some thread through to be able to hang it up. I cut the hexagon papers and lined the bottom of the tin and lid. 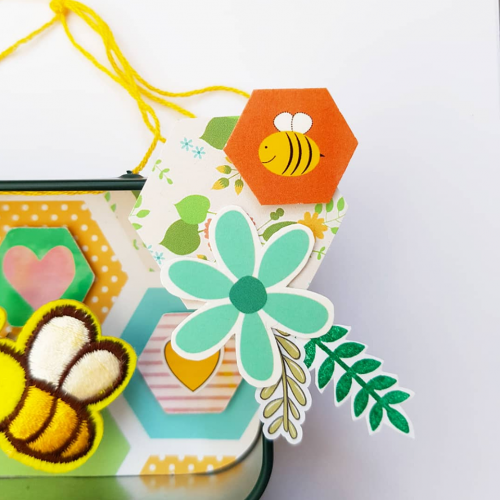 I wanted to make some embellishment clusters to put around the edge so did this by fussy cutting some more hexagons and some of the embellishment sheet printable. 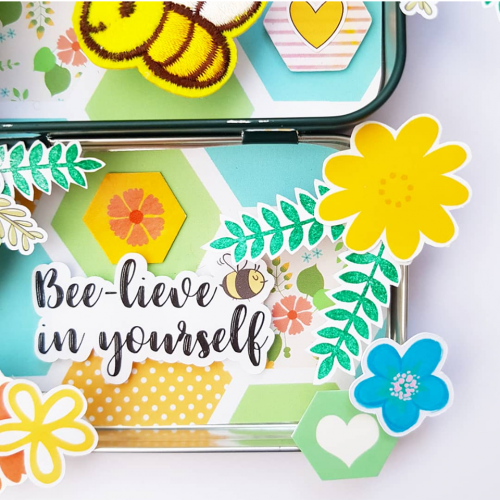 I added a few of the Happy Scatter die cuts along with some stickers and ferns I stamped and cut out. 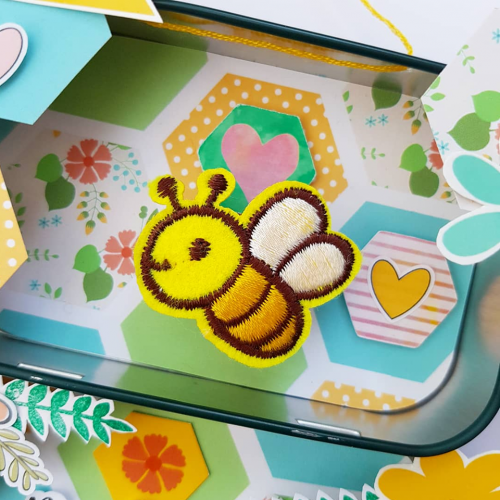 Lastly I used the big ‘Bee-lieve in yourself’ sticker on the lid and popped the embroidered bee on top. This was so simple and easy to make but I love looking at it when I pass!